How Far is EverJoy Omkar? EverJoy Omkar is one of the residential development of EverJoy Properties, located in Hanumagiri, Nisarga Layout, Chikkalasandra, Bangalore. 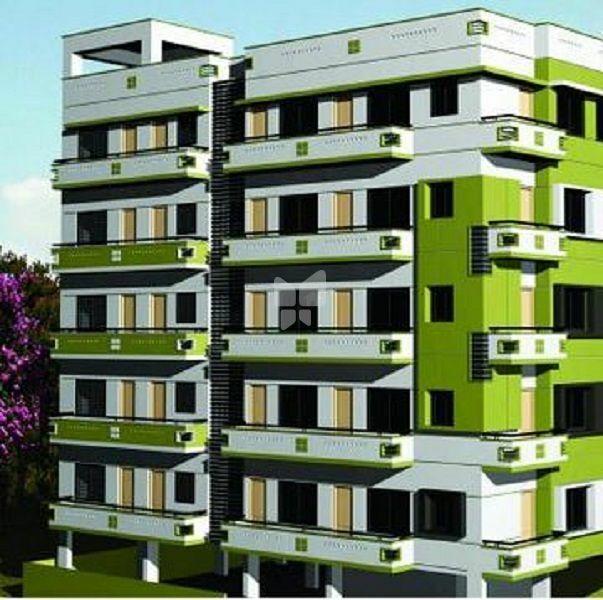 It offers skillfully designed 3BHK apartments. Project has been designed to facilitate perfect living conditions with optimum light, ventilation and privacy, coupled with fresh and green surroundings, each apartment brings the joy of unhindered living. Flooring for the entire building shall be in vitrified tiles from Naveen, Ero or of Equivalent make, bathroom and balcony flooring shall be in Anti-Skid ceramic tiles from Johson, Bell, Kajaria or of equivalent make and wall tiles for bathrooms and kitchen shall be galzed ceramic tile from the same make upto a heighr of +70. Teak wood door frame and teak wood shutters for all entrance doors, remaining doors with Sal Wood Door frame and flush doors. Entrance door to be teak wood polished and internal doors to be painted. All windows shall be double channel sliding aluminium windows with 5 mm thick. Glass and MS Security Grill from outside. All plumbing works to be in CPVC pipes and Sanitation works in PVC pipes. All plumbing fittings from Jaguar Continental range or Ess Ess Chromium plated or any equivalent brand. All sanitary fittings are from parryware or hindware in 50% colour.